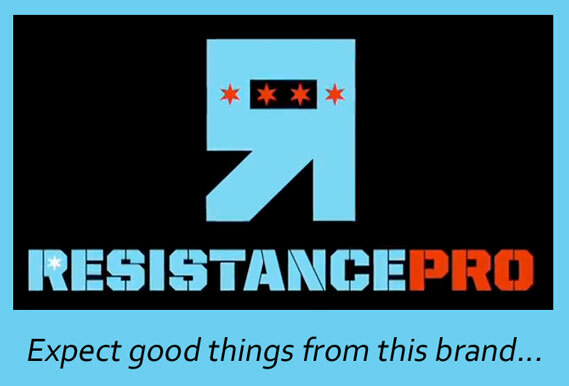 Resistance Pro Wrestling is a new Independent federation launched less than a year ago in Chicago. You may have heard the headlines that Billy Corgan from the Smashing Pumpkins, a life-long wrestling fan, is affiliated with the promotion and helped to get it started. So far, I like what I see. The wrestlers are fantastic and talented, the production values are good, the wrestling is top-notch. I could see getting hooked on this federation. This Robert Anthony, the stud in orange and blue tights, is actually no slouch when it comes to wrestling talent either. 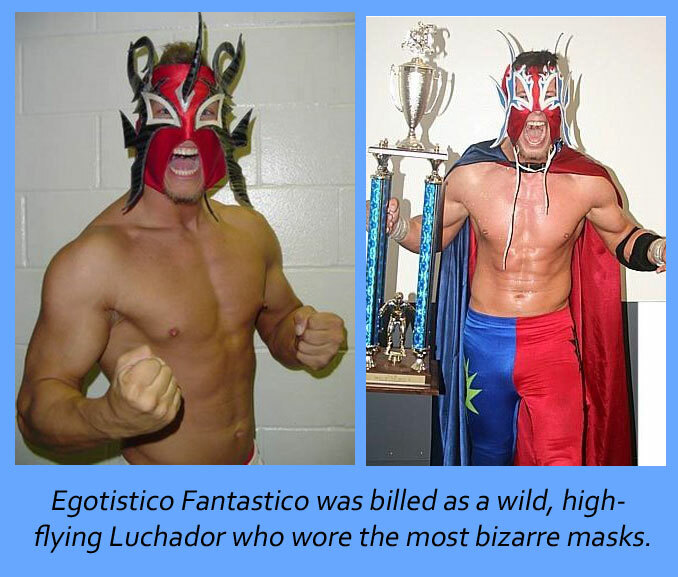 The Master of the Headlock was formerly a masked wrestler in Combat Zone Wrestling (CZW) called “Egotistico Fantastico.” His nick name, “The Ego,” must be a reference to his former masked man persona. He has decided to remove his exotic mask and let us see his face — which makes it much easier to observe his cocky grin, his sneer of disdain, his expression of utter dominance as he applies one of his 1,000 Headlocks on the long-haired pretty-boy. I think that Chicago native Robert Anthony was meant to be the Heel as usual, sadistically punishing the former WWE star. However, most of the crowd remains fiercely loyal to their home-town boy and cheers for Anthony to destroy Hennigan. The more viciously Anthony attacks, the more that the excited crowd eats it up, encouraging him to use his Headlock prowess to “snap Hennigan’s neck right in two” as one of the match commentators delights in saying. The fans are treated to breathtaking images of Hennigan in agony, his long hair flailing about, his long body contorted and flexing, his long legs splayed out and pushing the limits of the fabric stretch available in his long tights. Welcome back, John, we’ve missed you! If you want to check out this match on YouTube, it’s part of Resistance Pro TV episode 3 (originally aired 9/2/2012). This is the first match in the video and the wrasslin’ finally starts at about the 5:00 minute mark. Agreed on every point. Resistance is not futile. It’s awesome pro wrestling. it’s so great to see John back around and wrestling, I was so pissed when he was let go from the WWE, been a fan of his since he first stepped onto the scene. So damn hot. this is an awesome bout! great action and great wrestlers. Never saw this federation before but def gives ring of honor a run for the money. A new fan here!! !